First Graphite (ASX: FGR) has negotiated a long-term supply agreement which will provide the group with vein graphite for a two year period at a rate of up to 1000 tonnes per annum. While FGR is looking to become a producer of vein graphite in its own right, management has recognised the need to have sufficient feedstock to supply customers with graphene samples for testing in their manufacturing processes for graphene enhanced products. In terms of its exploration pursuits, FGR is aiming to develop an underground mining operation to extract high grade crystalline vein graphite from its tenements in Sri Lanka which cover an area of approximately 40,000 hectares. 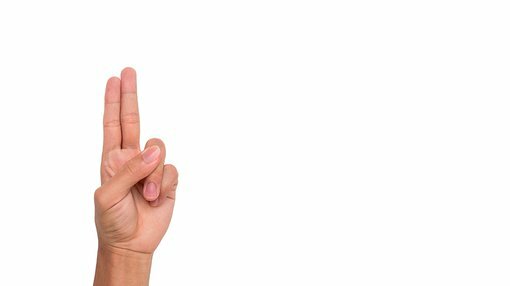 However, investors considering FGR should be aware that the group is an early stage company that is yet to establish an earnings profile and independent financial advice should be sought before making an investment. 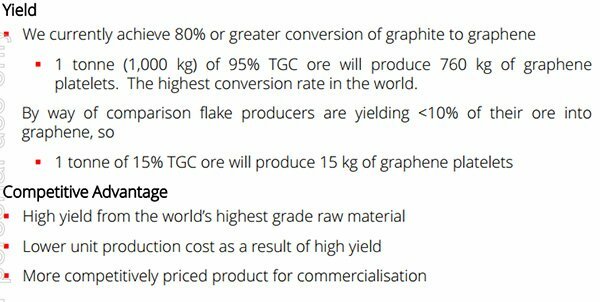 While it will be necessary for the company to be generating raw material production from its own mines in the medium term, as outlined below FGR is well-positioned in the near term with a proven ability to produce the best quality graphene in the world, involved at low costs. As management highlighted, it has made excellent progress in a short period of time and expects to make its first graphene sales as a result of recent meetings with clients across the automotive, aviation and paint manufacturing industries. Non-Executive Chairman, Warwick Grigor, concisely summed up FGR’s position at last month’s AGM in saying, “You should be looking at FGR as a technology company that offers growth opportunities that would never be available to a mere supplier of a commodity to markets”. Building on this theme and underlining the importance of today’s development, FGR’s Chief Executive Craig McGuckin said, “As industry is becoming more aware of FGR’s unique position in the ability to supply high quality graphene at competitive prices, we are being approached by an increasing number of parties that are seeking reliable supplies of graphene to advance applications”. The fact that some of these parties have rights to technological advancements and intellectual property that they are prepared to offer FGR in order to assist in commercialisation is a promising scenario. McGuckin said FGR will make announcements on the progress of such opportunities when agreements are finalised.